Healthcare industry businesses face many challenges on a day to day basis - which is why Bellevue CPA firm GDM Private Financial Solutions offers accounting and bookkeeping services specifically tailored for healthcare professionals. 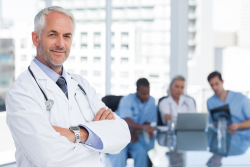 We offer medical professionals a variety of services including outsourced accounting and bookkeeping, tax planning, cash flow analysis, practice valuations and more. Give us a call today at 425-283-5425 to find out how a Bellevue healthcare accounting firm like GDM Private Financial Solutions can help you get the most out of your accounting and tax needs. Want to learn more about our services? Call us at 425-283-5425 to schedule your free initial consultation.